Let’s talk about a basic salad. 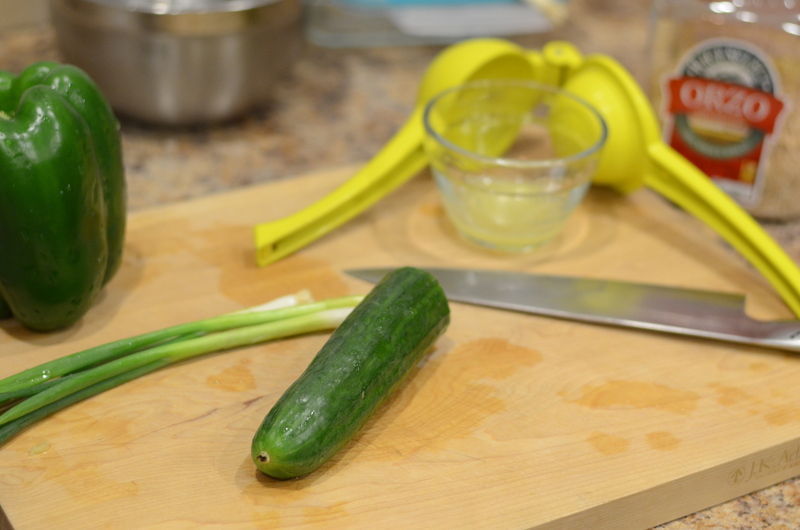 One that has the very basic formula of vegetable+grain+lemon juice+olive oil+cheese. Are you with me? I worry that you may be bored with something so simple, something I’m confident you have figured out on your own. Yet I feel the urge to plug for the very basic salad recipe. There’s something so refreshing about the ability to bring together a satisfying and healthy dish that goes only a few steps beyond bagged salad greens and bottled dressing, something I used to use to fill in the blanks of meals and snacks here and there. I much prefer something like this, don’t you? Take note: this is another recipe with less than 10 ingredients! Consider that there are unlimited options for variation here. This other recipe I was considering used sun-dried tomato and red onion. Shallots would work. And if you are fresh out of fresh lemons, champagne or white wine vinegar make sense. If you’re wondering what I am doing with the rest of that sizable green pepper, it is going into this weekend’s Super Bowl chili. Cook the orzo according to the package directions. Drain; run under cold water to cool and shake well to remove excess water. 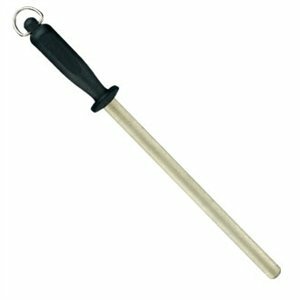 which you’re supposed to use often, and an old electric sharpener kinda like this that never provided satisfactory results. In my singular experience, it is surprisingly easy to find a traveling knife sharpener who picks up the phone, makes an appointment to come to your house at your convenience, and then accepts payment on a per knife basis. Easy peasy. I have noticed a huge improvement in some cases. 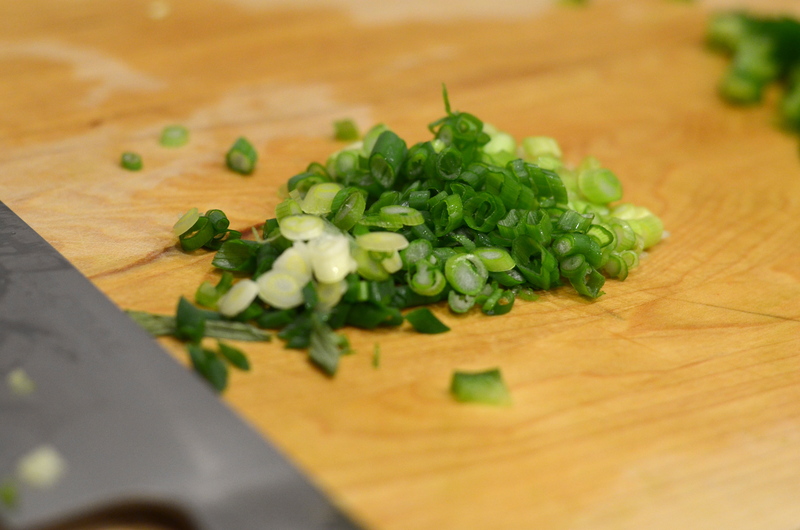 For some reason, scallions had been giving me trouble with the duller chef’s knife, and is where I felt a serious difference and ease in making thin slices. 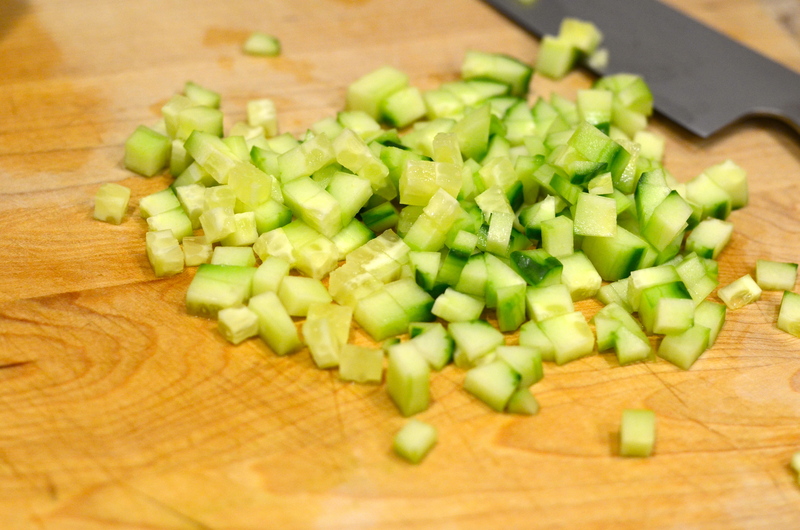 In a medium bowl, toss the orzo with the cucumber, Feta, scallions, green pepper, lemon juice, oil, 1 teaspoon salt, and ½ teaspoon pepper. 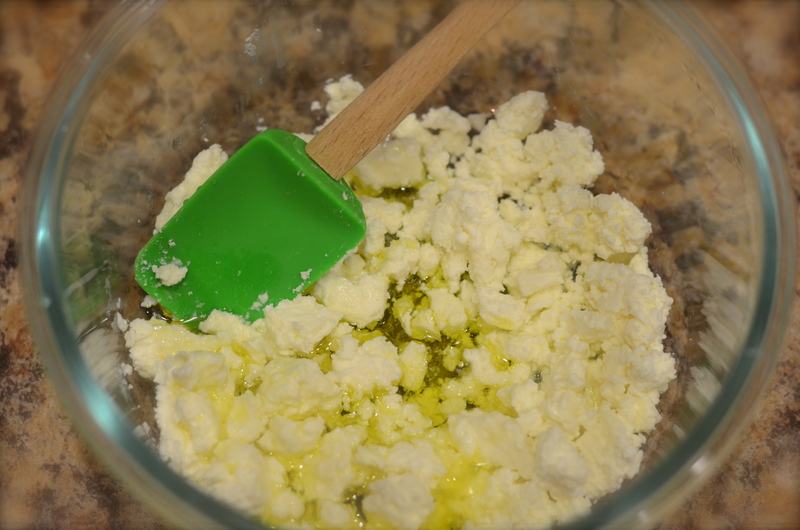 Mmm feta and lemon juice. Can’t I just eat this? 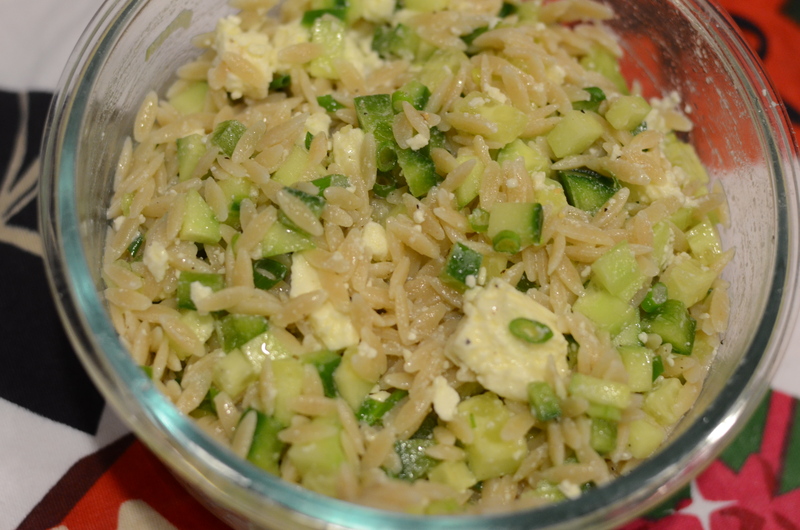 This entry was posted in Fast and easy, Great leftovers for lunch, Make-ahead, Pasta, Recipes, Vegetarian and tagged cucumber, Cucumber Salad, farro, feta, green pepper, lemon juice, orzo, salad, salad recipe, scallions, simple. Bookmark the permalink. This looks delicious, I want some!